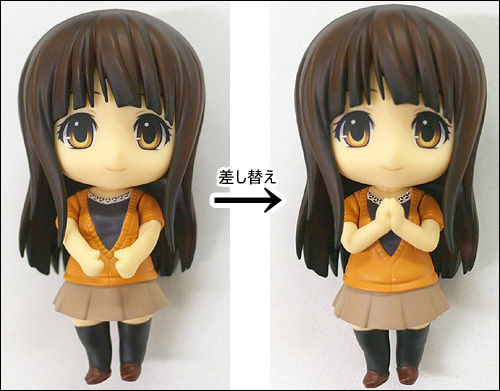 According to the release schedule, Phat Company‘s Nendoroid Azuki Miho (Bakuman) should already be popping up at the figure stores as well as on her way to your desk by now. 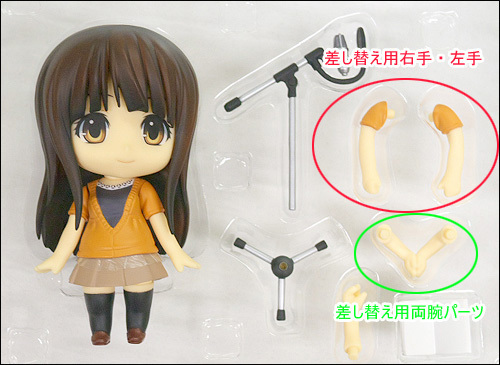 Following up on that, Phat has just posted a quick notice regarding how we install Miho’s connecting arms part – as seen in the pic above. Yep, the official info and pics on Nendoroid Hatsune Miku: Family Mart version has been available on GSC website since yesterday, just a day after the WonHobby News Watch broadcast. A collaboration between Miku and FamilyMart! The popular character lot draws at FamilyMart will feature Miku Hatsune starting in August with a special campaign titled ‘Happy Lots Miku Hatsune’, which will be be running at all FamilyMart Convenience Stores! 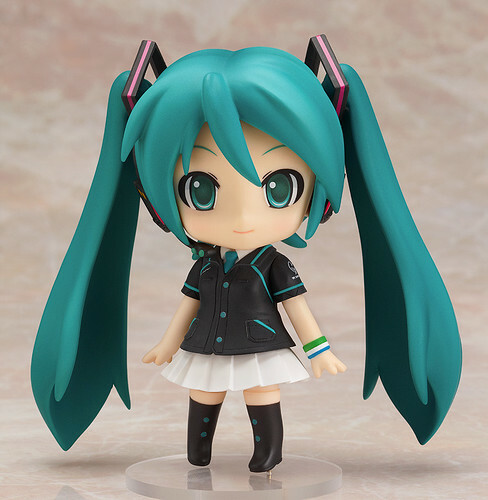 If you’re lucky enough to draw the B prize, you’ll get your hands on this lovely Nendoroid of Miku dressed up in the FamilyMart staff uniform! Plus she also comes with one of FamilyMart’s most popular products, the ‘Family Chicken’ as an optional extra, as well as parts that allow you to pose her welcoming new customers to the store! 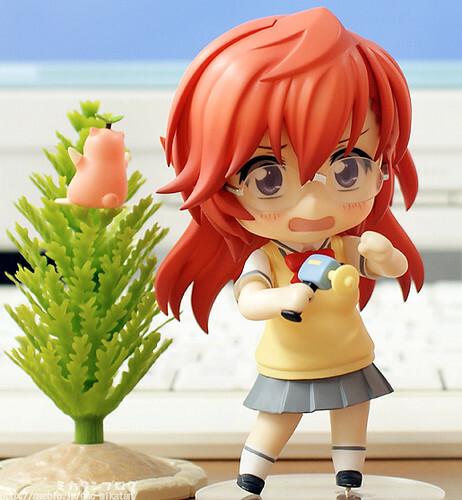 Well, Nendoroid Takatsuki Ichika‘s fully-colored prototype has been displayed at WonHobby News Watch broadcasted last Friday, so it is only natural that she gets a preview treatment by Mikatan today. 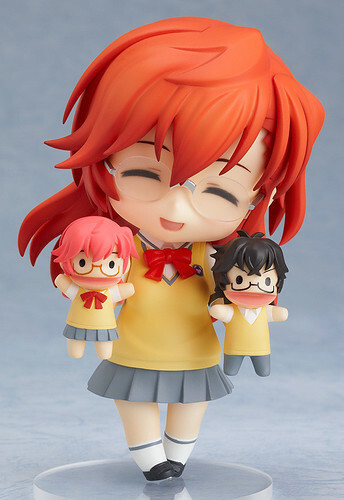 From the same staff that brought the famous Onegai Teacher series comes Ano Natsu de Matteru, and from that lovely series comes a Nendoroid of the 3rd year high school student, Ichika Takatsuki! Anyway, this lovely alien girl will bring along three expressions (smiling, embarrassed, and happy) as well as a couple of body parts and accessories, including the transmitter suitcase, the mysterious Rinon, and two mini puppets (hand-dolls). 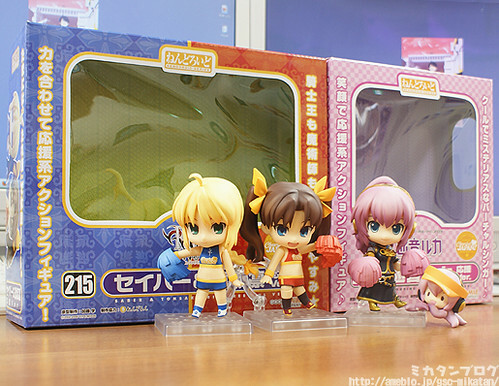 Anyway, she is going to be available for pre-order starting tomorrow.